Beds Police chief constable Jon Boutcher is to lead an investigation into the alleged activities of an Army agent within the IRA, it has been announced. The agent, known as Stakeknife, has been linked to dozens of murders. - Whether there is evidence of criminal offences by the alleged agent known as Stakeknife, including murders, attempted murders and unlawful imprisonments. 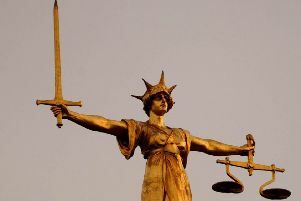 - Whether there is evidence of criminal offences by members of the British Army, the Security Services or other Government agencies, in respect of the cases connected to the alleged agent known as Stakeknife. Jon Boutcher has said that he is ‘humbled’ to be leading the probe. He added: “I do not underestimate the huge task of establishing the circumstances behind how and why these murders occurred during those dark days. “As soon as officers and staff are in place the investigation team will begin reaching out to victims, victims’ families and all interested parties to receive information.